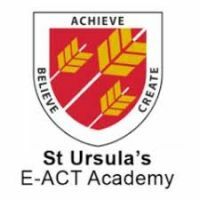 Shine offers children at St Ursula's a friendly and welcoming breakfast and after school club. During breakfast and after school sessions, Shine utilises our amazing Shine Community Sports Hall and Club House to deliver a variety of sporting, creative and free play activities that are enjoyable and stimulating for children of all ages and abilities. Shine's reliable and flexible service also allows parents who require extended provision to book the later 'Snack & Chill' session separately and ensures their children receive a nutritious snack and a chance to enjoy some sociable free play in a supervised setting. In recognition of the long school day ahead, children attending Shine's Breakfast Club will be offered quiet, engaging activities that are not designed to be too taxing and they will be encouraged to enjoy an appropriate breakfast (cereal, toast and a cup of milk) before being handed over to the school staff. During the first session (15:15-16:45) children will have the choice of a sporting, creative or free play activity. Shine's Snack & Chill session (16:45-17:55) begins with a nutritious snack time followed by a range of creative and free play activities designed to wind things down after a demanding day. Shine's weekly sporting and creative programme is reviewed and updated on a termly basis. Please be assured that Shine's staff are qualified, DBS checked, paediatric first aid trained and fully insured with considerable experience of delivering quality activities and child care for boys and girls of primary school age. Shine are OFSTED registered and consequently accept all major child care vouchers. Further details can be found at https://myshine.co.uk/faqs. Bookings must be made before 12.00 on the day. For further details, please contact [email protected] or call 01174 033 033. Buy Shine's high quality, exclusively branded sports kit and equipment and we'll deliver it to your next Shine session! Shine recognises that children may not always want to take part in a structured creative or sporting activity, so we have developed a session called My Time, during which staff will provide a range of creative activities, board games, construction kits and toys for children to choose from.